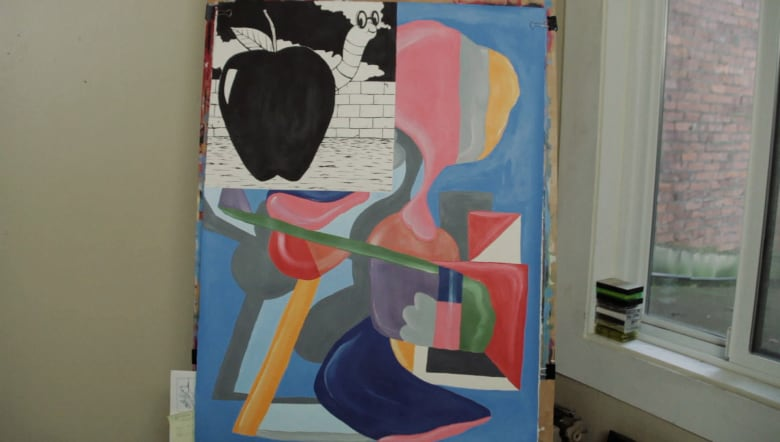 Justin Gradin grew up thinking, "You basically become Picasso or might as well not try." He didn't listen. Justin Gradin is a painter, sculptor, musician and art director for the band White Lung. He collaborates with Ben Jacques as on half of the video art production team Exquisite Corps who have made videos for Converse Shoes, Domino Records and Jagjaguwar to name a few. Justin currently lives and works in East Vancouver. But the path to get where he is now wasn't always so clear. Growing up, his mother warned him about the uncertainty of an art career — but he found himself compelled to create anyway. As he puts it: "Being creative is hard, but sometimes you just can't help it."